My dear soul sister Joy Melchezidek joins me with our special guest Holistic Practitioner Magali Diskus from Pennsylvania. 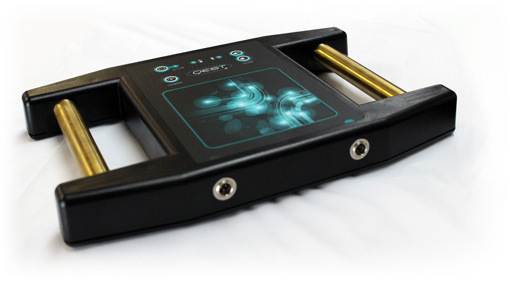 Magali discusses a device called the Qest 4 and how it works the body's meridians to diagnose potential illness and then gives a natural solution to healing. Ever since I've known Joy, she's had a number of ailments, some very serious. She's managed to maintain but not I see a big change since she started working with Magali, there have been amazing results. Joy shares those results in this interview. Magali explains how this all works. Our current medical system gets more and more costly, often we are given drugs that have major side effects on the body. Most of us feel that the body was meant to heal naturally but how can we diagnose and then solve these issues? There was a time when the ancients had the answers, was that information forgotten or covered up? Where did the ancients get their knowledge? I've known Dale for over a year now, I've done many remote broadcasts for the radio station with his business in the last year. Just last weekend he revealed something that blew me away, it was about his brother who was a Vietnam vet who committed suicide when he came back to the states. In short, his brother came back in spirit to tell both of his parents that he was okay. This had to happen well over 40 years ago, what made him think of it and tell me now? Well, part of it is I often get on these topics no matter where I am, once you connect with a person's heart and they trust you, it's amazing what you will hear. I can't tell you how often this happens to me, at least once a week. Often people will come in to record a commercial and when I get on the conversation of love, or loved ones that have passed and made contact, I sit and watch the other person light up. Their whole demeanor changes, it becomes lighter. They start to fill with joy telling me their story that they believe may be contact from the other side. It gives me great joy to see them raising their vibration. Many will tell me they don't talk in public about what they witnessed because there are many non believers who may make fun of them. Sad isn't it? More of us aren't open. I feel I am so blessed to hear these stories, I've been given a great gift. Now, what do I do with it? Share it, so that others may find comfort in their story. I always do it with the greatest respect, I've never done it for any kind of financial gain. I've been writing a book for 10 years that has some of those stories, mostly my own. Maybe it's time to finish? Maybe these people are brought in my life so I help them share their stories? Maybe all of these amazing things have happened to me so that I would tell others about it? If you have anything you ever want to share, I'm open. I will always use discretion and even allow you to remain anonymous if you feel that is necessary. In the coming weeks I have a few guests lined up including Joy Melchezidek who wants to interview a woman who has this machine that heals others. Sounds interesting. Peace, love and joy! A few weeks ago John Of God was arrested in Brazil. I was a bit surprised at the time. I read a few articles, some claimed that he never healed anyone and it was all a sham. I feel that is not true since I've spoken to 3 people who've benefited from him. Are they out to get him? Perhaps. I don't know. Is he guilty of the crimes he's accused of? Perhaps, I don't know. This is not meant to slight those who may have been victims, hopefully the truth comes out. Sometimes when the truth comes out it's a manufactured truth as we've seen time and again. If anything, maybe it teaches us not to judge, even after the trial. What if they got it wrong? Who has the answers? The Akashic Records have the answers. Our higher self. I feel there will come a day when our system of jury trials will one day be seen as being obsolete. As we witness more and more of us becoming aware, there will come a time when just know a person's innocence or guilt. Even then, when someone commits a crime we'll have a more compassionate system that tries to rehabilitate as opposed to punishing for the sake of retribution. What is gained by that? It will be part of our continued evolution of becoming more compassionate loving beings. Some maybe don't want to change and they need to be kept away from the general public. Maybe there are karmic reasons for many of our crimes. Is John Of God guilty or innocent? I have no idea and I still may not even after the trial is done. Also, I would say there are many who have done good things but they walked between 2 worlds, one of light and one of darkness. We put people on a pedestal and perhaps we should never do that, often they will just let us down. Anyone truly walking a path of love will feel no desire for attention and choose to remain humble. For most of my life I've been a believer, this goes back to when I was about 8 years old and our family witnessed some kind of unusual craft on the horizon that slowly moved from north to south. Over the years I've talked to many people about their experiences. Most were reluctant to tell their story at first until I gained their confidence. Years ago a guest told me about a man who did UFO related shows in the Detroit area, thus began my friendship with David Twichell. David's family had his own unique interaction with an unknown craft when he was 14. I can't imagine not believing in this topic, it's been a part of my life for so long. So many people close to me have had their own encounters. Last I heard I think the estimated numbers of believers were around 53 percent. This week my good friend David Twichell joins me from Trenton Michigan. He's been doing shows in one form or another since 2001. A couple weeks ago Project Bluebook aired an episode about the Flatwoods Monster incident from 1952. This was obviously a Hollywood version of the story. I just don't know why no one wants to present this story accurately. Why is that? They'll talk about Roswell to no end. They'll discuss many other events but they skip by perhaps the biggest event that ever happened in the United States, maybe the world. Perhaps it has to do with conflict, the fact that our craft were attempting to shoot these unknown craft down. We lost many aircraft from that time period, imagine our government having to explain that. These alien craft were not on the offensive, they were merely depending themselves from what Frank's evidence seems to conclude. Why were they here? Over twenty years ago Frank Feschino took an interest in the Flatwoods Monster story, at first he was rejected by the locals who were tired of being made fun of by the media. Eventually the locals took to Frank after they realized he was there to gather legitimate information. Frank got to meet most all of the witnesses from that time period, some who witnessed strange craft in other parts of West Virginia. Thanks to documents released by Project Bluebook Frank was able to fill in a timeline and trace where all of this started and what was really going on. Like I've said before, thanks to Frank, this is the probably the most researched event that has never been made public in any way. The History channel is promoting a lot of U.F.O. material right now, no one is calling Frank. The Travel channel, even Nat Geo. Nope, not interested. Makes me wonder. Another possibility, these were reptilian creatures, you almost never hear about them. Instead, it seems, the only extraterrestrial beings they ever focus on are the Greys. It's okay to let people think they're being abducted, or experimented on. Perhaps those in charge don't want us to know that we the people have an ally, a group of beings who may have been around since the beginning assisting us. A federation of beings from other planets who mostly do not interfere but have kept us from destroying ourselves. While Frank won't admit it as fact, because it's not, talking to his friend Phil Delong last week helped in my understanding of who these beings are and why they're here. This week I connect with Reverend Dr. Phil Delong and he's offered to channel the Ascended Masters, namely St. Germain, and also he's going to speak with a being called Heltor. 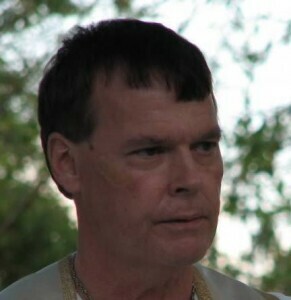 Phil is a gifted psychic/medium/energy healer and channel. He has had 2 near death experiences that changed his life forever. He has been trained in all of his skills. He is a caretaker of the ancient Crystal Skulls. This is the first time he's doing a channeling with me. St. Germain is considered an Ascended Master, what does that mean? It is reported that St. Germain lived several hundred years having figured out the secret to not aging. He is associated with the 7th ray of consciousness, the Violet Flame. What does he have to say? A lot. I get to ask questions, I always like that. Our second guest is called Heltor, he is from the Plieades, he's a little intense. I never got around to asking who Heltor was until after the show. Heltor began to communicate with Phil through the Crystal Skulls. Never expected this, interesting what he has to say. Next week I'll talk to Frank Feschino and get his take on Project Bluebook. One more thing, Phil got to talking about portals that appear on the planet, I saw this as an opportunity to address something that I felt from the time it happened, the disappearance of the Malaysian flight. Did that somehow get caught up in a portal? I think half the world knew something else was going on, they could just sense it. The families of those lost were very upset with their government because they knew they were being lied to and there was more going on than they were told. Hmm...I wonder if that new tv show Manifest is trying to give us a little bit of truth regarding these events? I had a show scheduled with Reverend Dr. Phil Delong today but the audio quality wasn't quite up to speed so next week we plan on doing an interview. Phil is a fascinating guy. Truly a gentle spirit, a remarkable psychic/medium/healer/channeler. I've never channeled with Phil, he says he often talks to the Ascended Masters and a being from the Pleiades. Plus I want to hear more about his healing techniques. I know he's an accomplished energy healer. Also I mentioned that I'd have Frank Feschino on talking about the Flatwoods Monster incident, we both watched Project Bluebook and they didn't come close to telling the real story. I realize this show is more about fiction and entertainment, but I don't understand why no one wants to touch this story, they cover Roswell and other ufo related events. My own personal belief is that it's such a big lie that's been told if it ever came out the government would have to tell the people that they were fighting a war with these beings, trying to shoot them down. Many pilots died attempting to do that, although Frank and I conclude that these craft were just defending themselves and not trying to attack us. It also might prove that these beings were doing an intervention to keep us from destroying the planet and ourselves. I'll talk to Frank as well next week. I saw a show on the Travel Channel and a former guest, Stan Gordon, was on one of the episodes of Monsters and Mysteries, I thought it might be nice to hear from him again. That will be down the road. There is a show called Legend Hunter that airs on the Travel Channel. 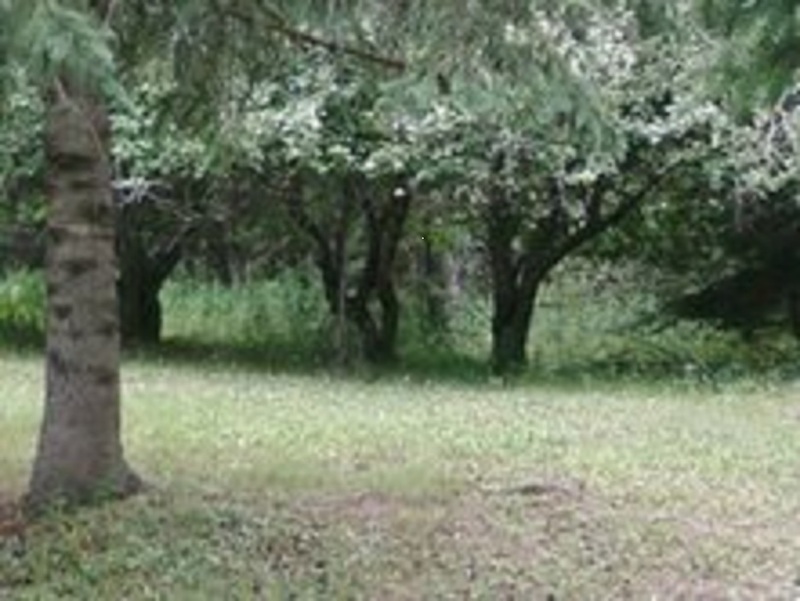 The host was in Elkhorn Lake Wisconsin investigating the legend of the man wolf. Like many of these shows you wind up being disappointed because if they truly listened closely to all of the eye witness reports then it would be very obvious. Instead they try to make it seem like their doing a scientific approach and they come to the conclusion that it's a mangy bear. Explain the red glowing eyes, or that it gets up on two feet and runs off or chases people. Linda Godfrey, who has been on my show more than once, was interviewed for this program and apparently her information was ignored. She probably knows more about this creature than anyone, she's investigated it for years. It's like they want to tell us the truth but keep so much of it from us. I plan on contacting Linda again as well in the near future. 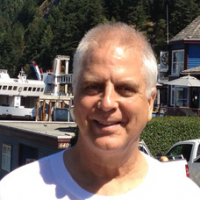 Steve Beckow from Vancouver, Canada joins me this week and we talk about love and raising our vibrations. I got to know Steve from the website Golden Age Of Gaia. I've gone there for the last couple of years and really enjoy most of the articles I read. They speak to me, much of it rings true within my being. One of the topics they cover is the Reval. The Reval is a revaluation and redistribution of the world's wealth. Many believe, including myself, that we have been controlled for a long time and we are transitioning into a time of great change. Some believe that this will take place soon, although anytime one talks to spirit one realizes that time doesn't exist and "soon" could go on for several years. I feel if we ask for anything, or want anything to come forward, we are the ones that are responsible for making it happen or keep it from happening. So Steve is just asking us to raise our vibrations which will help bring this forward. I can't argue with that, even if none of this is true. We discuss love, how do you define it? I think that's a really good question, how can you feel love if you don't know what it is? I'm not talking physical love we have for other people or animals, I'm talking about this tsunami of love that fills you and is total bliss, words cannot describe it. Both Steve and I have been fortunate to have experienced it more than once. Two of my experiences occurred with my parents after they passed. One thing that I really liked about this interview was how Steve described love as flowing and how we can tap into it. Do I believe in all of this 100 percent? I keep an open mind as I do with all things. I've read the articles and my intuition tells me there is something to it. I trust Steve's sources. As for Steve's character, Steve has never asked me for anything, he has been more than generous and has walked his walk. We had some technical issues with this interview and Steve was very gracious and agreed to call back. Let's just say some of my past guests weren't as cordial, some expect me to jump through hoops in order to speak with them. Some have told me I don't attract a big enough audience for them to spend time talking with me. I don't hold that against them but it does tell me some things about where they're at on a spiritual level. Sometimes I think it's just ego, something we all battle with whether we admit it or not. You get a little attention and now you feel like what you have to say is more important that someone else. Maybe you have some success and you feel you should be treated a certain way. I've been through that. I feel if you're going to talk about higher vibrations and love then you should live it as much as possible, lead by example. For the most part though, people that come back on my show again and again are genuine in my estimation. If there are other sites you feel offer insight, please send them to me. If there are guests you think I should interview please contact me. If you have something to say, I'd like to hear it. 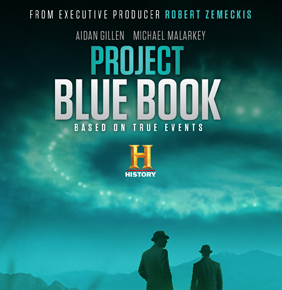 Last night I watched the debut of the History Channel's "Project Bluebook." The show comes on every Tuesday at 10pm, so I recorded it and found time to watch it yesterday. There's no question that this is amped up for television, lots of side twists and plots, probably quite altered from the real investigations. With that said, there are a couple of things that caught my interest. The main character is Dr. Allen Hynek, a civilian who is hired by the Air Force to investigate ufo sightings. In real life Hynek was skeptical, a non believer, until he came across some cases that changed his perspective. This happened to more than one investigator who was a non believer and then changed his mind after sifting through many remarkable stories that couldn't be explained. Major Donald Keyhoe was another investigator around that time period who went from non believer to believer and knew there was a cover up. My connection to J. Allen Hynek is that one of my co-workers actually met him years ago back when he was a kid. My co-worker's family sold worms and Hynek was in Upper Michigan fishing in the late 60's or early 70's and bought worms from them. Weird coincidence? What's also weird is that my co-worker has shared some ufo stories with me that he and his family have witnessed. His father witnessed ufo's over the local airport. I won't mention my co-worker's name, he wishes to remain anonymous. He had his own strange ufo experience in the early 80's when he was traveling from Escanaba to Munising, roughly 60 miles distance, this is a really interesting story. The next show on Project Bluebook is going to be about the Flatwoods Monster mystery this coming Tuesday. I've already talked with Frank Feschino and he'll be coming on after the show airs to see how close they are to the truth. Frank is an expert on The Flatwoods Monster mystery, he's spent over 20 years investigating and spoke to almost all of the witnesses, many have passed since that time. My take on the first show is that they try a little too hard to be like the X Files, but we'll see. I'd rather see a factual show, still I realize they want to make it entertaining. Where did they get their facts? Some files were released regarding Project Bluebook, but many of those were old Xerox copies that probably aren't very clear. My guess is that for the Flatwoods Monster story they looked at Frank's research although he was never contacted by the History Channel or credited for the information. The last time the History Channel was involved with Frank was regarding Monster Quest, they totally butchered the story even though they were given total access to all of the information. Frank told me he spent many hours with them and then was disappointed by the finished product. Perhaps the History Channel has changed their attitude since then. I was surprised they carried a show called Vanished, hosted by David Paulides. David is known for his Missing 411 investigations. I think Ancient Aliens has paved the way for the History Channel, and other channels, to be more truthful. Many years ago I heard from more than one source that the government was trying to tell us the truth, they put out shows and movies that hinted about the truth. One train of thought suggests they are doing this because it's just a matter of time before we find out and they wanted to break it to us gently and get adjusted to what could be mind blowing for some. Another thought, which I feel is closer to the truth, is that they've been told by "other beings" that they must let the public know. They've been lying to us about this and many other things and we are close to the time when there will be full disclosure about ufo's and many other topics. Why? From what I can tell, we are about to be freed from those who've controlled us and lied to us. Again, this all ties into what I've talked about many times that there was an agreement to allow certain beings to have their way, to do as they wish, create duality and enslave mankind for thousands of years. Their time has come to an end, and even though they don't want to let go, they have no choice, it's just a matter of time before the light takes back the planet. I think I'm becoming one of them, one of those people I observed when I was younger. "Those people" stopped caring about Christmas, at least the gift giving and decorating side of it. Maybe we just don't see the purpose of it. Maybe I'm turning into Scrooge? I still enjoy watching the young kids open their gifts, I just don't really care if I get any. I still enjoy the love that seems to be present. But this year I really started thinking about Jesus and the term "Christ Consciousness." To me, that's more of what Christmas has become. So I found a show in my archives that I did with Roslyn McGrath back in 2011 talking about this subject. It was a first for both of us, she had never channeled the Christ Consciousness and I had never spoken to that energy, at least consciously. I first heard the term Christ Consciousness back in the 1980's and was curious ever since. Much of what Roslyn shared still applies today. This is an edited show, not much taken out, you can still search for the original one on my site if you want. Thanks to Roslyn for being a part of this. As is always my goal, none of this is meant to challenge anyone's beliefs or divide and create separation.